-SG- Another Roadholder brochure, courtesy of Ian. 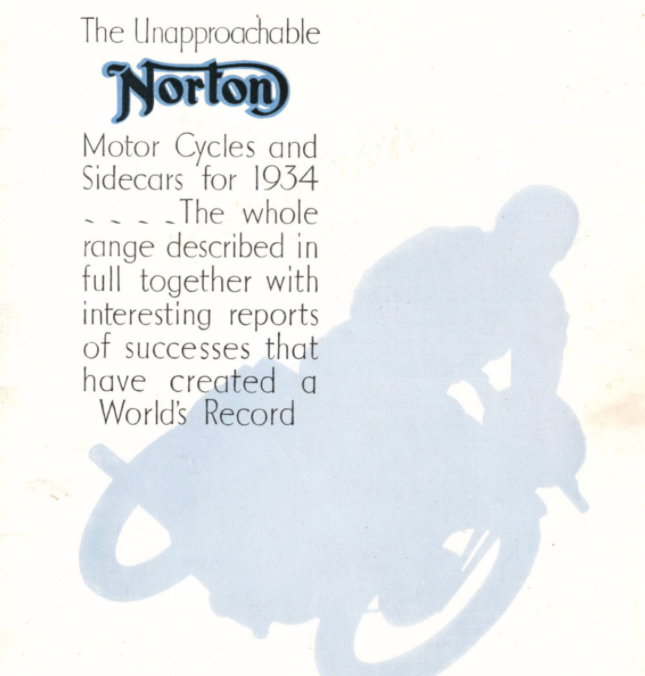 This one covers 1934 - all models still fitted with Sturmey Archer gearboxes but now with Norton's own three spring clutch. In addition, the Models 30 and 40 were fitted with the narrow forks and front wheels.